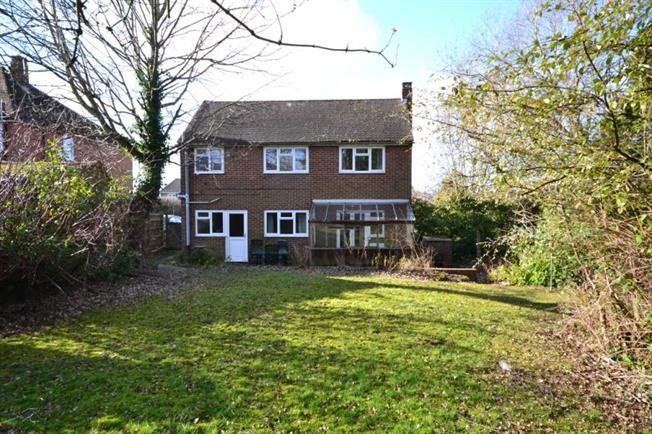 3 Bedroom Detached House For Sale in Tunbridge Wells for Guide Price £400,000. Freeman Forman are delighted to present this chain free three bedroom detached family home, benefitting from an enormous corner plot, offering potential to extend subject to any necessary planning consents. The property requires modernising throughout but offers fantastic potential. The accommodation includes an entrance hall, cloakroom, sitting room, sun room and an open plan kitchen/dining room. Stairs rise from the entrance hall to the first floor landing where three bedrooms are located along with a bathroom and a separate shower room. The property benefits from a gas central heating system and double glazing. Outside the property enjoys a large driveway offering parking for numerous vehicles. The front and rear garden is laid mainly to lawn and offers a good level of privacy and seclusion.